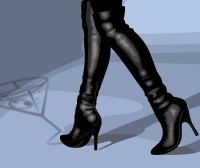 You ready for this? Wine in a pouch? If you’re nostalgic for those fun Capri Sun pouches you sipped as a kid, you might be interested in the new package wine package vintners are trying out in an effort to be eco-friendly. Winemaker Alan Philips has good chops. He formerly made wine for Foley Estates Winery (in Lompoc, also in Santa Barbara County) and has consulted on many Central Coast winery projects. 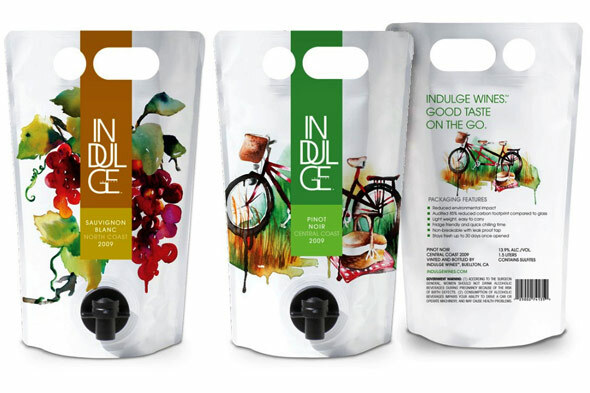 A cut-out handle on the Indulge Wines’ pouch allows you to grab-and-go, whether it’s to the local park for a symphony performance or into the back yard to sip with a dinner of grilled fish. Owner and founder Pierre LaBarge IV has a master’s degree in viticulture and a keen interest in wine production. The wine is eco-friendly for many reasons: It’s drinkable up to 30 days after opening (so it won’t go to waste) and fewer fossil fuels are needed to transport the wine than if it were inside a glass bottle. Just two percent of the product is its weight — the remaining 98% is the wine. Unlike boxed wines, which are essentially a bag inside a box, there is no cardboard or paperboard needed to package the wine. And finally, you’re probably wondering: Is this wine any good? I sampled the 2009 Sauvignon Blanc, North Coast, and enjoyed the balance of zippy, acidic notes with minerals. My conclusion is that it’s the perfect transition into warmer weather. The wine is not packed with tropical-fruit notes but it’s still fresh and crisp, and a nice departure from all the heavy red wines you’ve probably been drinking all winter long.